Best Of M.A.S.K. Theme Remixes - Agents of M.A.S.K. For those of you not familiar with the term, a remix is editing or recreating a song to sound different from its original version. I'm not a huge fan of remix songs, but I do appreciate the time and effort that are put into making them. I mostly view them as tributes to the original track by the producer. I've encountered several remixes of the M.A.S.K. theme over the last several years. We even use one of the remixes listed below on MASKast for background music. So I thought I'd compile my favorite tracks and showcase some talented M.A.S.K. fans. This first track by DJ Tee is the "hip hop" version we use in the opening and closing of MASKast. I stumbled onto this track a couple years ago now and was the first remix I really enjoyed. Your browser does not support this audio Boulder-Hill.Net features a couple remix tracks on its media page. One of them is "M.A.S.K. 2006" by Monkey Hands which features audio clips from the cartoon. The new beat mixed with the M.A.S.K. theme opening makes for a fun track. "V.E.N.O.M." by zerosignal is a track I literally just discovered when I was researching for this story. It's a very interesting track that is almost split in half with remixes of the M.A.S.K. and V.E.N.O.M. themes. The next track I discovered just this year and even shared it on our Facebook page. 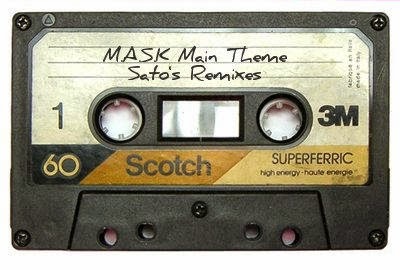 French artist Square Tune Magician has produced a techno remix of the M.A.S.K. theme along with mesmerizing visuals for a complete club experience. 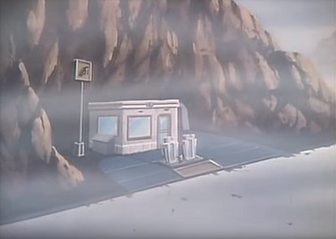 And speaking of techno, another track you can find on Boulder-Hill.Net is the "M.A.S.K. Theme Remix" by DJ Force. This track has more of a synthesized sound with an up-tempo techno beat. I'm a fan of '80s new wave and retrowave so I really dig this remix. "Roteks" by J:Kenzo is not a remix per se, but I decided to include it. "Masked" within the haunting beat are clips from the "Roteks" episode of the animated series. You can hear the sound effects of the bugs along with soundbytes of Alex Sector and P.N.A. director Duane Kennedy. Also previously posted on our Facebook page is this track by Tedman simply titled "M.A.S.K. 8 bit." It sounds like it could've been featured on one of Spectrum ZX video games released in the '80s. The final remix is by another French producer who calls himself Phenix '80. This instrumental track could easily become the theme for a rebooted M.A.S.K. animated series. It has a very classic '80s keyboard and guitar sound but it also sounds fresh and new at the same time.